Superstar Salman Khan displayed his awesome charisma on the 'New Year Ka Vaar' as he rocked the show. Bigg Boss Season 10 has been full of twists and turns and the ‘New Year Ka Vaar’ episode was no different. 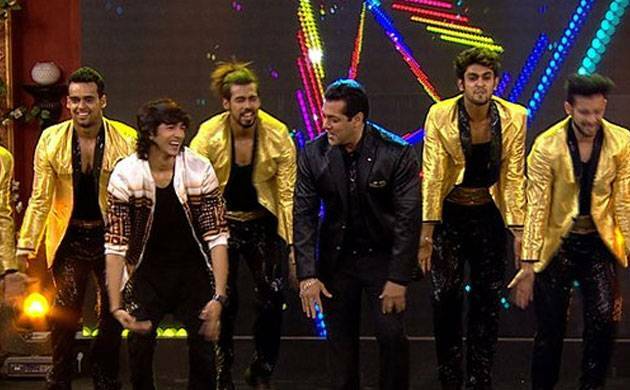 However, superstar Salman Khan displayed his awesome charisma on Saturday as he rocked the show. # VJ Bani won the ‘Best Bhukkad’ award. # The ‘Falooda awards’ entered the scene and VJ Bani and Lopamudra were given the ‘Jaani Dushman’ award. # Ex contestants Ravi Kishan, Vindu Dara Singh and Lokesh Kumari too came to the show. # Karishma Tanna came to the show and set the stage on fire with her sizzling performance to ‘Laila Main Laila’ song. # Bharti and Krushna from team Comedy Nights Bachao came to the show and tickled some funny bones. # Housemates shared their experiences from 2016 and also their resolutions for 2017.